Pianist, composer and arranger Mal Waldron was born on August 16th, 1925 in New York City, New York. After graduating from Queens College with a B.A. 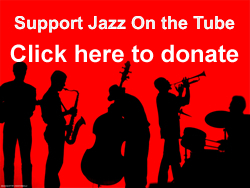 in music, Waldron began his career at the Café Society Downtown, a famous NYC jazz club. During the mid-1950 he frequently performed with Charles Mingus, Lucky Millinder, and Lucky Thompson before forming his own band in 1956 featuring trumpeter Idrees Sulieman, alto saxophonist Gigi Gryce, double bassist Julian Euell, and drummer Arthur Edgehill. Waldron went on to play with Eric Dolphy, Charles Mingus, John Coltrane, and Jackie McLean. Frustrated with unequal treatment of black and white musicians, Waldron moved to Europe in the 60s, where he continued to play the remainder of his career. Mal Waldron built a popular following in Japan during the 1970s and performed memorable duets with soprano saxophonist Steve Lacy in the 1980s and ’90s. A heavy smoker, he continued to perform after being diagnosed with cancer in 2002 until his death. 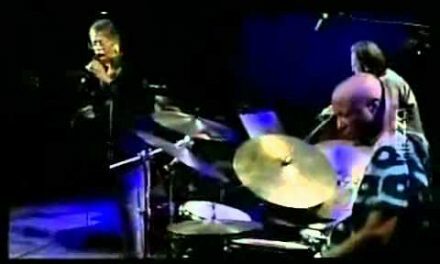 Written and recorded by Mal Waldron in 1986 for the album “Left Alone ’86,” the track “All Alone” is typical of the kind of solo playing the artist was doing at the time. Although most of this album is duet.